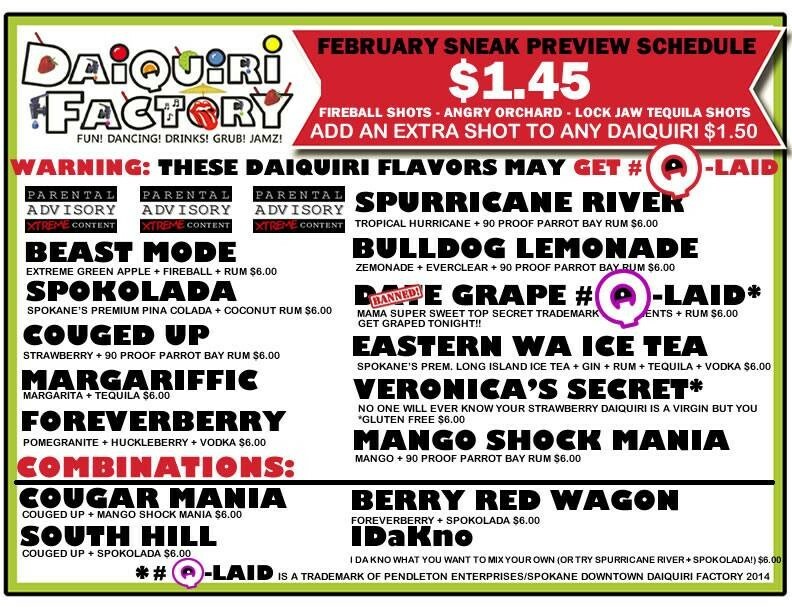 Today, two weeks after the Spokane Downtown Daiquiri Factory posted its drink menu with the “Date Grape Koolaid,” the bar posted a new menu. And it appears Daiquiri Factory owner Jamie Pendleton, who has declined to speak with the media, is backing off the name — sort of. 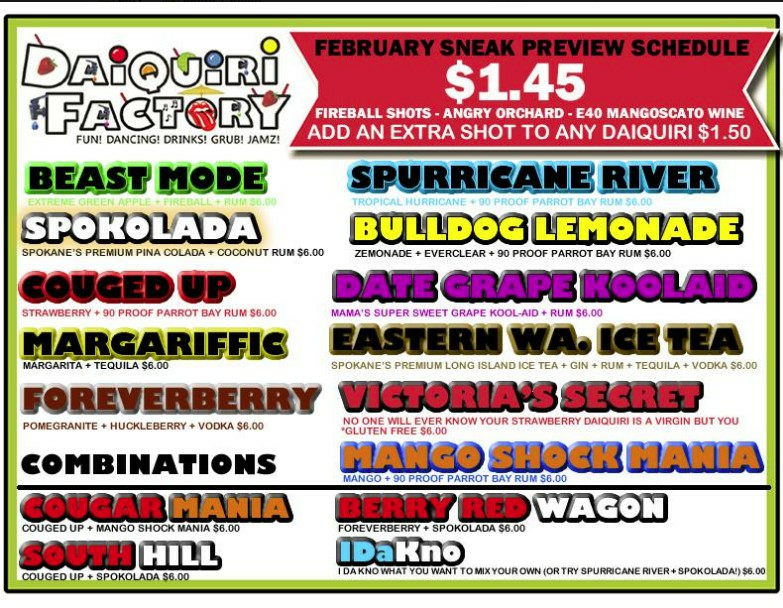 New drink menu posted today by the Spokane Downtown Daiquiri Factory. 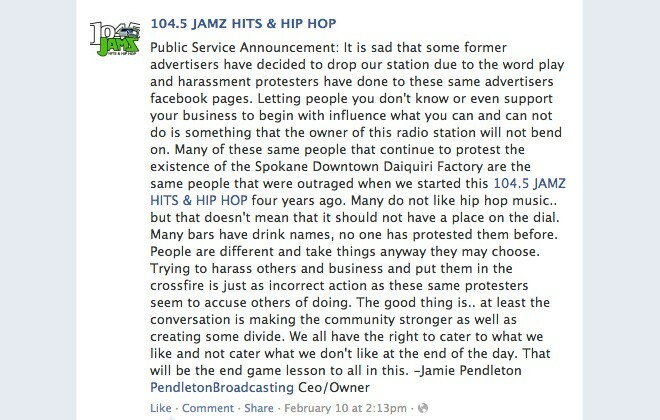 On Monday, Pendleton posted a statement on the page of 104.5 JAMZ, his radio station, saying he would not let protests or lost advertisers affect the way he runs his businesses. 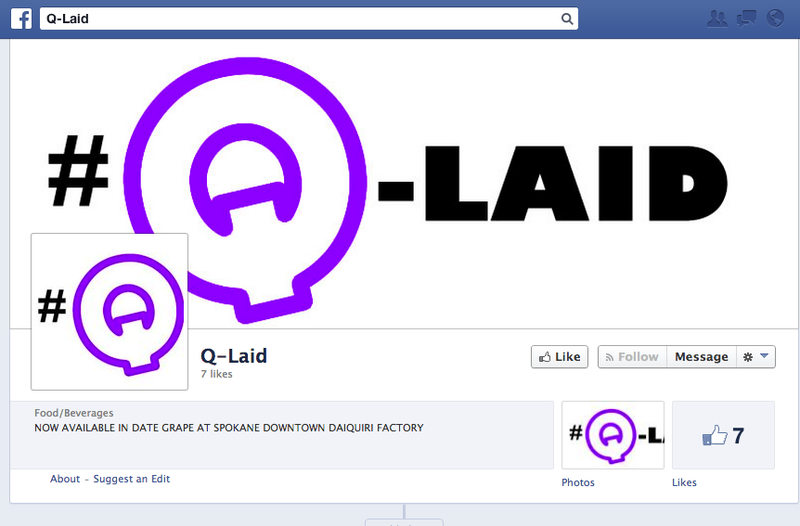 Around the same time, Spokane Downtown Daiquiri Factory’s Facebook page disappeared. 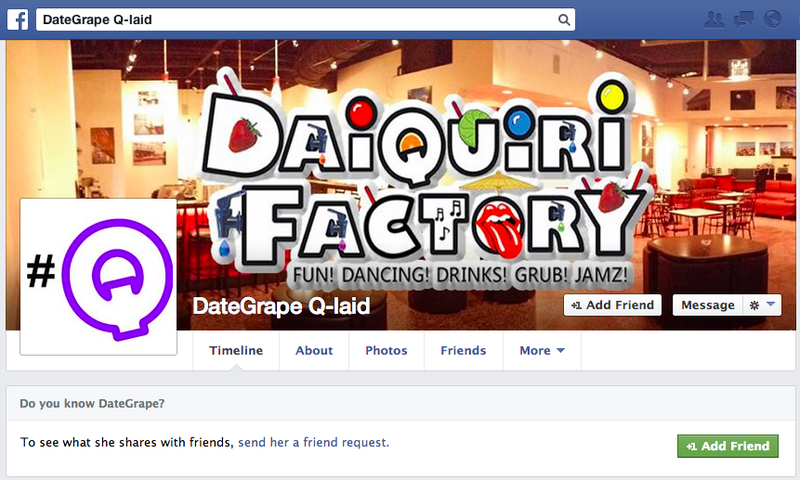 Facebook doesn’t comment on the specific reasons content is removed, but the Daiquiri Factory page had been reported for harassment by protesters whose personal photos and information had been posted on the page. The drink briefly had its own Facebook profile, which is now gone, most likely because Facebook only allows profiles for people, not products or businesses. Original drink menu posted by Spokane Downtown Daiquiri Factory on Jan. 30. Though the protests and boycott group started in response to the “Date Grape” name, the ongoing controversy has more to do with how the business has reacted than the name itself. After Pendleton made it clear he had no intention of compromising with people who criticized his business, protesters launched a group effort to contact sponsors, advertisers and companies that may consider Daiquiri Factory signage to be trademark infringement. A menu change without any acknowledgement or olive branch will probably lead to an impasse between the business and its critics. A protest is planned for Saturday evening at 8 pm outside the business at 121 N. Wall St. UPDATE: Organizers announced on Saturday afternoon that the protest has been canceled. A separate rally for global organization One Billion Rising, which campaigns to end violence against women, is happening at 3 pm today at River Park Square. CAT FRIDAY: Happy Meow-lentine's Day!